Thank you James So you can help your customers if they have that type of question ! Just updated the first post. I have added ft-lb torques and in-lb in some cases. A member here contacted me to add a content table to the PDF. I'm sure that would be something good to do. Any improvement input is appreciated. Do not hesitate to modify the document / make modification propositions. I also added some torques specs concerning the power steering and corrected some torques on the high pressure P/S line. Last edited by Flow; Fri, Apr-08-2016 at 06:39:45 PM. Nice job on the fastening list Flow. Just a suggestion. It might be worth keeping a changelog in your original post. Perhaps list all the docs/url by publish date and then in brackets a brief description of what's new/changed? Also, an 'errata / supplement' section might be good at the end of the first post. Here we can list notes, issues via page number raised by members. It will save you from having to update the doc 'everyday'. Changes can be implemented into the doc shortly after? Okay if I link to this file in the maintenance thread? Please download it and use that one. Replace all the older copies. I have added an update date in the document. Please make sure you always have the latest version as corrections might have been made. I have updated some torque values that I have found to be wrong on my original PDF. Please check the torques and give me feedback if you see any mistakes. Doing my best to place them well, but a lot of sources are contradicting (Bentley / TIS / forums)... So it is not that easy. - Bolts that hold the strut brace. I found 40 Nm on the web, but that sounds very high for an M8 nut. Kind of scared about that one ? - Differential subframe front bolts. I found 90 Nm. That is high for an M12 nut. Is that really the right value ? - Banjo bolts for power steering high pressure line. Values are different for the Z4M (specific value for S54 engine) and the E46 chassis (no distinction for the M3/S54 engine). I went with the E46 chassis values (35Nm for the M14 and 40Nm for the M16). I hope that is those are the right torques. Confirmation would be appreciated. - Differential front bolt : 200 Nm. That is very very high for a M14 10.9 grade bolt (max torque should be around 180 Nm). This was confirmed by the TIS, but I am very scared this bolt would shear at that torque ? Any input on this ? Maybe the length makes it so strong ? I also have added some new torque values (like carbon canister and some others). - Index : I have been contacted by forum member Janar who suggested to add an index with page numbers. That is a good idea, and I will be in touch with him in order to add it. - Email subscription : I was thinking of making an email subscription, and I would simply send an email out to everyone who has subscribed when there is an update. What do you think about that ? It would be an easy way to reach out to people if there is an error in the file / an update with additional information. - Hosting : I will do a very simple website to host the file. Latest version will always be there so it is very easy to link to. I will do that next week. - Change log : I'll try to keep a simple change log so people can see what actually changed in the file / update single pages if it was printed out. I'll start that now. I hope to make a good reference for the future. If there is anything to add, please tell me so I can do it. 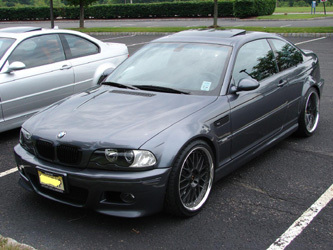 The E46 M3 deserves to be well maintained. I plan on keeping mine forever ! Last edited by Flow; Fri, Apr-08-2016 at 06:40:03 PM. I just updated it. Please do the same on cutters so they have the latest version. Of course, but I think we first need a "permanent link" where we always put the latest file. I'll look into it a little later tonight as I just got home from a 1 week work trip. Also, there is the torque spec thread that we would need to update. I'm not sure m3hal is still around ? He did not answer in it. All times are GMT. The time now is 08:12:49 AM.